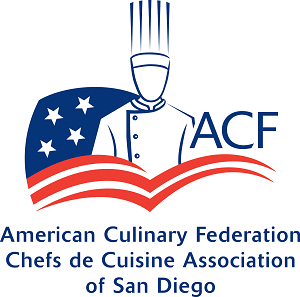 American Culinary Federation certifications are not determined by title or rank but by knowledge and skills. The culinary training and work experience gained in the military may qualify you for one or more ACF certification designations. Based on your educational background and work experience, you can find a certification designation that complements your experience. Learn about the certification process. In July 2009, the Office of the Under Secretary of Defense issued this memorandum implementing the Department of Defense policy and guidance for discretionary programs for the payment of professional expenses to military members that include state-imposed and professional licenses, courses and examinations leading to credentialing, certifications and renewals, and other expenses consistent with those authorized in Title 10 U.S.C. Section 2015, “Payment of Expenses to Obtain Professional Credentials.” Check with your supervisor or representative about program opportunities. Not all programs offer the same benefits and they may have different procedures regarding application, approval, payment, and reimbursement. Initial Certification: during the process of certification, Navy Cool requires a 3-part voucher request system: 1) at time of initial application; 2) prior to the written and practical exams; and 3) at time of final application. For more information on how to apply, view standard operating procedures for ACF Certification via NavyCool funding. When you submit your Step 1 application for certification to the ACF, please also process your Navy Cool voucher request. Once the ACF has verified all documents, it will make a funding request to Navy Cool. Provided Navy Cool has already received and approved your voucher request, funding will be made. Recertification: Navy Cool may also pay for your recertification. At the time that you are submitting your Recertification application to the ACF, you should also process your Navy Cool Voucher Request. Once the application is verified and approved by the ACF, it will make a funding request to Navy Cool. Provided Navy Cool has already received and approved your paperwork, funding will be made. Army personnel interested in certification should contact their supervisor about program opportunities and funding options. Veterans can contact the Department of Veterans Affairs about possible certification funding through the G.I. Bill. Your branch of service not listed? Certification is open to everyone at all levels of culinary experience and education, so check with your training officer for more details.